GREAT AMERICAN — Rich Wilson became only the second American to finish the Vendée Globe solo non-stop round-the-world race. 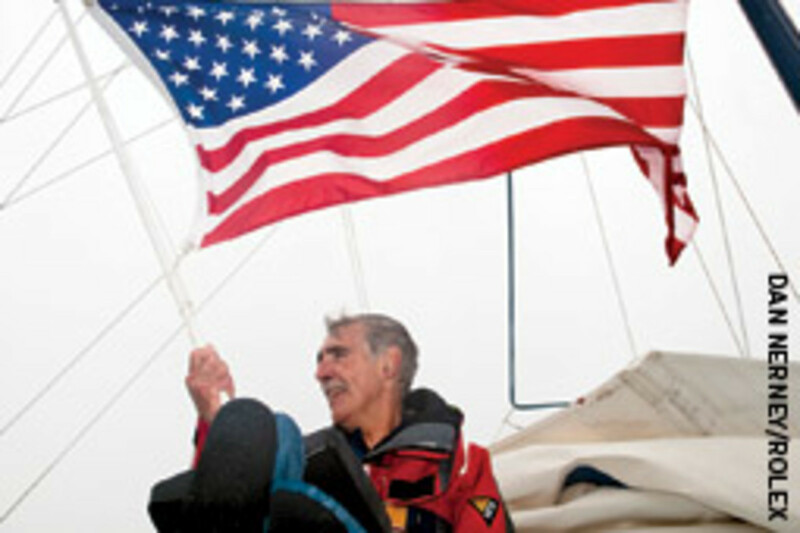 Sailing Great American III, Wilson crossed the finish line March 10 off Les Sables d’Olonne, France. He finished ninth, completing the race in 121 days, 41 minutes, 19 seconds. The Rockport, Mass., sailor’s achievement came in a tough race where 19 in a fleet of 30 were forced to retire. “After coming around the second high-pressure system in the Atlantic, and we were closer to Boston than to France, [I thought] maybe I should turn left and go home,” Wilson said after finishing the race. Bruce Schwab was the first American to finish the race. He crossed the line in ninth in the 2004-’05 race on Ocean Planet. It’s not often in a sailing regatta that a single 30-minute race decides the outcome, but that’s exactly what happened on the last day of competition for U.S. Sailing’s Rolex Miami OCR, which ran Jan. 25-31. The event hosted 444 sailors from 41 countries in 10 Olympic and three Paralympic classes. Nine of those Olympic classes participated in the finale. “We didn’t necessarily expect to win the gold today, but thought we had as good a chance as anybody,” said Phil Trinter of Charlottesville, Va., after he and skipper Rick Merriman of New York turned in a performance that secured their spot at the top of the 31-boat Star fleet and the podium. Trinter, an Olympian in this class, described a disappointing start where being “the pickle in the middle” could only go from bad to worse. 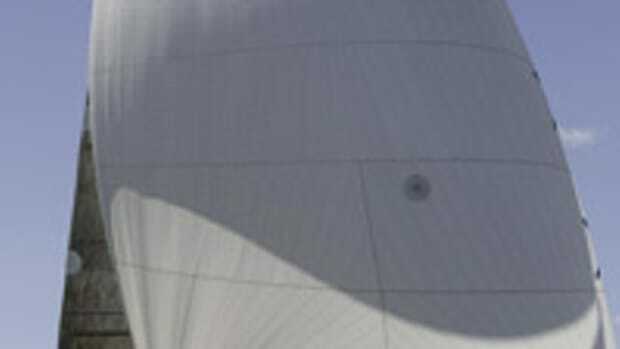 “By the time the dust settled,” he says, “we were ninth around the first weather mark (of a twice-around windward-leeward course).” Still in ninth after rounding the bottom mark, the team leveraged a right wind shift when everyone else went left and worked its way back to second at the second weather mark. “We knew we only needed to be fourth to win, so we sailed the downwind leg conservatively,” says Trinter, explaining that a final race finish of third sufficed for their purposes. The performance also earned the team a spot on the U.S. Sailing Team AlphaGraphics 2009, for which this regatta is the only qualifier. In the nine-boat 470 women’s class, Denmark’s Henriette Koch and Lene Sommer took the gold over silver medalists Erin Maxwell and Isabelle Kinsolving of Norwalk, Conn./New York, who are the current world champions and now have a spot on the U.S. Sailing Team AlphaGraphics. In the 49er class, Australians Nico Delle Karth and Nikolaus Resch took the gold after a finish of sixth on the final day. In the RS:X Women’s class, the 23-board fleet had more than a dozen countries represented, but it was Spain’s Marina Alabau that took gold. In the 34-board RS:X Men’s class, where 10 different countries were represented in the final day’s 10 racing spots, Dorian van Rijsselberge of the Netherlands took the top spot on the podium. There were two primary battles going on in the 30-boat Finn class: one for gold and one for bronze. In the end, it was Brit Edward Wright who took the top podium step, edging out Canada’s Christopher Cook by one point. The United States’ 2008 Finn silver medalist, Zach Railey of Clearwater, Fla., secured the bronze. In the 18-boat 470 men’s class Spaniard Onan Barreiros, with crew Aaron Sarmiento, finished fifth in the medal race to maintain their lead at the top of the scoreboard, while Stuart McNay and Graham Biehl of Lincoln, Mass., and San Diego, secured the silver with a fourth in the medal race. In the 63-boat Laser class, Great Britain’s Nick Thompson had to keep Pavlos Kontides at bay to win the gold. The top battle in the 41-boat Laser Radial fleet was between longtime U.S. Sailing Team AlphaGraphics members Anna Tunnicliffe of Plantation, Fla., and Paige Railey of Clearwater, Fla. Tunnicliffe, a gold medalist from Qingdao who was named U.S. Sailing’s Rolex Yachtswoman of the Year, finished third to Railey’s fourth in the medal race, leaving Railey the silver medal. While the Paralympic sailors competed in fair breezes, classes sailing later in the day (using a staggered start schedule) experienced things quite differently when squalls developed. 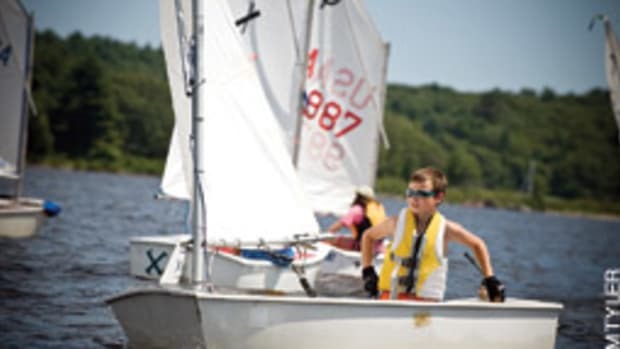 A new disabled sailing event, the Robie Pierce One-Design Regatta, will debut June 5-7 at American Yacht Club in Rye, N.Y.
“After running the U.S. Disabled Sailing Championship last June, we learned that disabled sailors were seeking new venues to sail,” says Siobhan Reilly, Robie Pierce event chair. 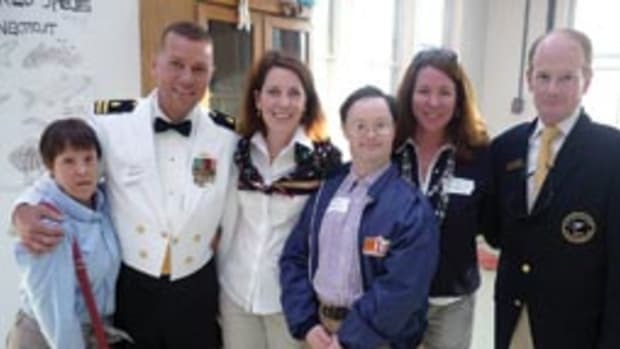 The event has been named in honor of Pierce, a longtime advocate of disabled sailing. Since being diagnosed with multiple sclerosis in 1985, Pierce was instrumental in creating the U.S. Disabled Sailing Championship, and played a key role in getting sailing as a medal event in the Paralympics. Pierce will be sailing in the inaugural regatta. The new event will also be open to blind sailors. All competitors will receive free use of the Ideal 18s for the regatta. 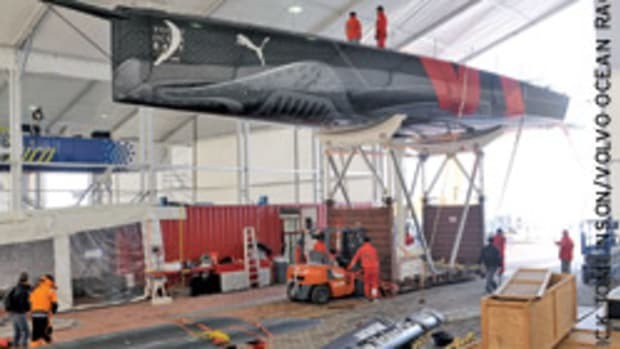 The new event will provide the largest fleet of one designs sailing in the U.S. with disabled sailors and is one of very few events where the boats are supplied free of charge. The first year’s event will be capped at 25 boats and must be entered by resume. Resumes are due April 2. 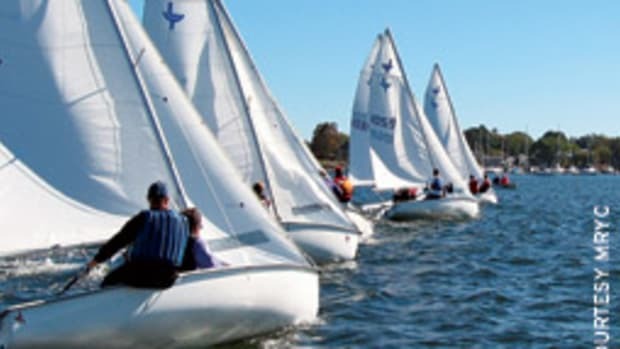 The Robie Pierce One-Design Regatta will rotate among yacht clubs in western Long Island Sound, with Larchmont scheduled for 2010 and Riverside, host to this year’s U.S. Disabled Sailing Championships, hosting in 2011. For information and entry forms, contact Siobhan Reilly at reillyhere@optonline.net or Bill Sandberg at bill_ sandberg2003@yahoo.com. Atlantis WeatherGear and US Sailing announced Atlantis will be the technical and casual apparel partner of the U.S. Sailing Team AlphaGraphics for the next Olympic and Paralympic quadrennium. The winners of all four classes at the Acura Miami Grand Prix went wire-to-wire at this year’s competition. Ran (IRC 1), Soozal (IRC 2), Nerone (Farr 40) and Bliksem (Melges 32) all led from start to finish despite tight competition in every class. The fleet was made up of 42 boats from seven countries, but the Farr 40 was deemed to be the most competitive, earning Nerone the Acura Boat of the Week honor. The Italian entry won six of 10 races, an almost unheard-of achievement in the professional-laden Farr 40 class. Pieter Taselaar and his crew aboard Bliksem drew serious consideration for Boat of the Week after putting forth an impressive performance in the tough Melges 32 class. Taselaar opened the regatta with three straight bullets and never looked back despite being pushed the whole way by Samba Pa Ti (John Kilroy, San Francisco) and Red (Joe Woods, Great Britain). 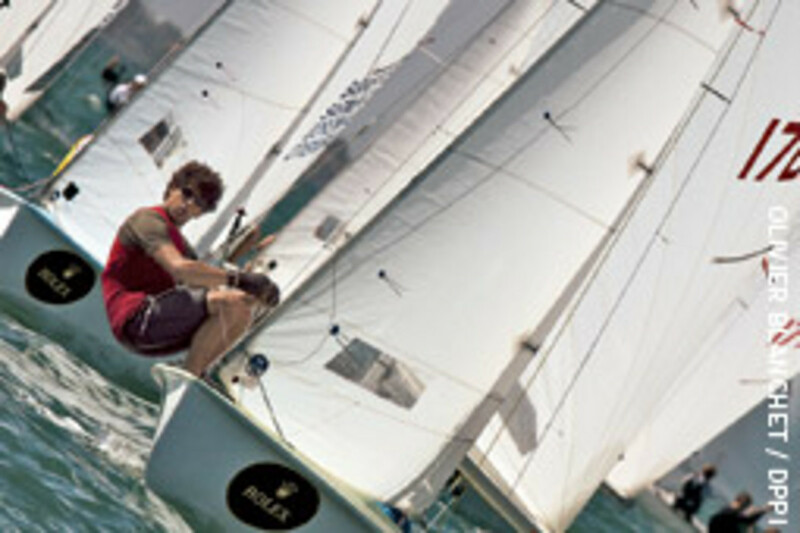 Jeremy Wilmot, a member of the intercollegiate dinghy team at St. Mary’s College of Maryland, called tactics on Bliksem. This marked the first Melges 32 class victory in seven attempts for Taselaar, a Netherlands native who now lives in St. Inigoes, Md. “We are extremely excited. We really focused on this regatta and put in a lot of effort. It is very rewarding to see all that preparation pay off,” Taselaar says. Owner Dan Woolery and close friend Scott Easom spent a year gearing up to sail Soozal in the two winter regattas organized by Premiere Racing. 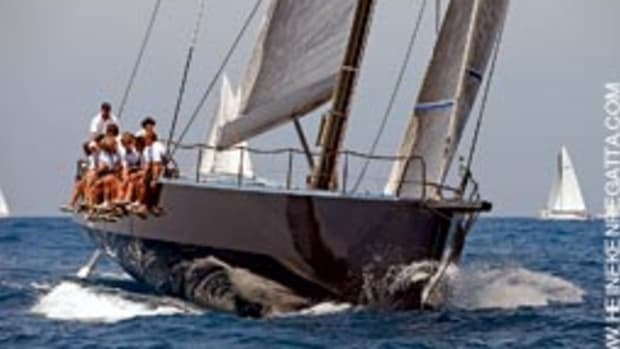 The King 40, designed by Mark Mills and built by Summit Yachts, has proven a real rocket ship by capturing IRC 2 class at both Acura Key West 2009 and the Acura Miami Grand Prix. Ran, owned by Niklas Zennstrom of Great Britain, won seven races and finished second or third in the others en route to victory in IRC 1. America’s Cup veteran and match racing standout Thierry Peponnet called tactics on Ran, which edged fellow TP52 Rio by five points. “We had really fantastic conditions here in Miami. It was sunny and windy every day, which made for fun and exciting racing,” Peponnet says. Ran also captured the Acura Grand Prix championship trophy, awarded to the boat with the best combined performance in Key West and Miami. 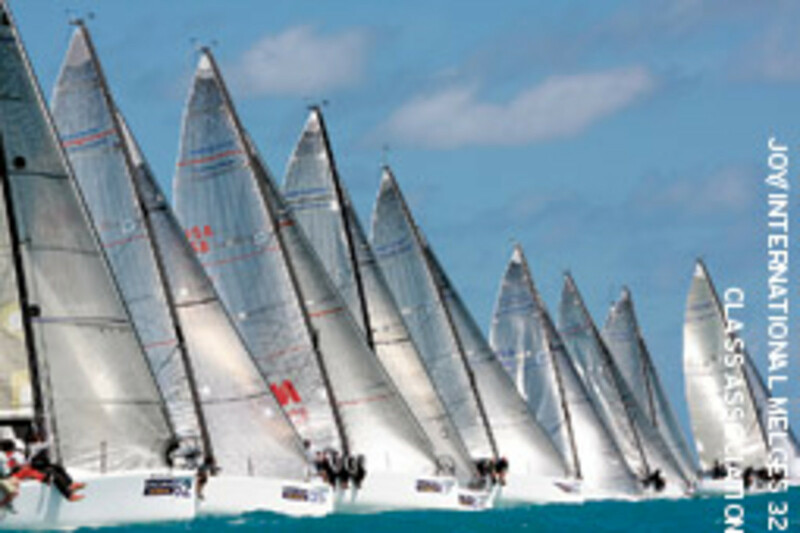 Zennstrom’s team won six of 10 races in taking IRC 1 class at Acura Key West 2009 as well. Joe Fly, an Italian boat owned by Giovanni Maspero, earned the Acura Grand Prix championship in the Farr 40 class after finishing second in Key West and third in Miami. New Wave, co-owned by Michael Carroll and Marty Kullman of Clearwater, Fla., took the honors in the Melges 32 class thanks to a fourth in Key West and a fifth in Miami. “It is quite an honor to win the Acura Grand Prix Championship as it speaks to consistency at three great events. The competition in Melges 32 class in Key West and Miami was the best we have ever seen, so naturally we are ecstatic,” Carroll says. Temperatures in the 80s, sunny skies and winds that never dipped below double digits made the 2009 Acura Miami Grand Prix memorable. “I don’t know if I have ever seen so many happy faces leaving a regatta,” says event director Peter Craig. With women’s match racing on the Olympic program for the first time at the London Games in 2012, the world championships this summer in Lysekil, Sweden, will be a key event in the sailing world. The world’s top teams will battle for the biggest prize money in women’s match racing, 50,000 euros, during the fifth edition of Lysekil Women’s Match. Americans Elizabeth Baylis and Sally Barkow, ranked sixth and ninth respectively, will represent the United States in the competition. The invites to the prestigious event were sent to the top 12 teams in the world. The skippers were invited according to the ISAF World Match Race rankings. Defending champ and world No .1 Claire Leroy of France will be invited along with 10 other skippers on the ranking list. The Swedish Sailing Federation and the organizing yacht club Lysekil Yacht Club Gullmar award the last spot in the late July event. No. 2 Linda Rahm of Sweden is ranked second in the world. Thirty-five youth sailors have been selected for the newly launched US Sailing Under 18 (U18) and Under 23 (U23) teams. These athletes have been identified as future Olympic prospects. The organization will provide the two new teams with elite-level coaching, as well as educational, administrative and logistical support throughout the year. The U18 team includes the top sailors in the Laser Radial (boys and girls), 29er (open) and I420 (boys or girls) classes, who were born after Jan. 1, 1991. The U23 team consists of the top sailors born after Jan. 1, 1986 in each of the Laser and Laser Radial classes.